E3 is an interesting time. 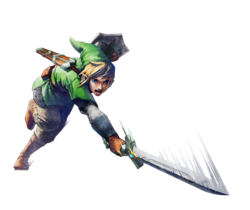 Nintendo stated very plainly that Skyward Sword would be getting a holiday release, but Nintendo of Europe’s press site apparently is singing a different tune. They have the game slated to come out at some point in August. They also give a slew of release “months” and “windows” for most of Nintendo’s other big games in the work, including Kid Icarus and Kirby Wii. Still, Skyward Sword is going to steal the headline not just because we love Zelda, but because it directly conflicts with what Nintendo said at E3. Oh Nintendo, best not be messing with me right now. God knows we can’t take the abuse. It’s interesting that that they may be releasing Skyward Sword and Super Mario 3D in the same month, but they are for different platforms and likely are aimed to play to different crowds. While these dates only affect Europe, one would assume the US release wouldn’t be that far behind.